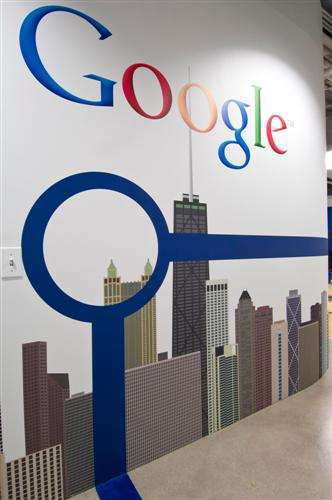 Friedman Fine Art is pleased to announce the completion of the graphics program for Google’s new Chicago facility. The project incorporated sculpture, graphic design and fabrication. Details of the project are illustrated below. 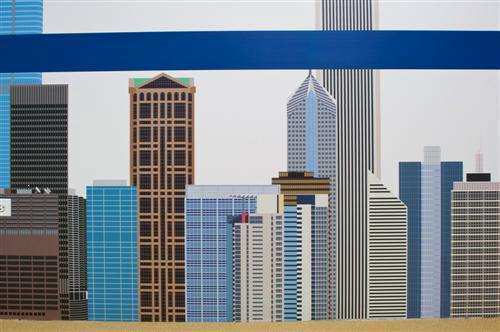 Friedman Fine Art worked with a Chicago metal artist to fabricate a stylized city skyline out of bent and welded painted steel rods. The “Tech Step” similar in look to the Blue Line on Chicago’s CTA maps. The Tech Stop theme is tied together by a blue line running through all the interior architectural elements including the wall covering, glass dividers and floor. 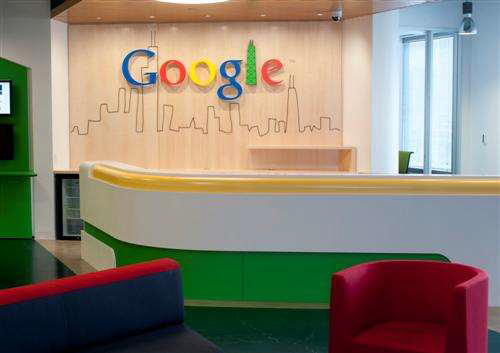 Friedman Fine Art develops corporate art graphic programs for many corporations in the Chicago area including Google headquarters.